Learn to speak the language of God's own heart. Have you ever tried to pour out your deepest feelings to God, only to discover that you can't find the words? We want to feel connected to God, but sometimes it seems like we're not speaking the same language. There is no better place in all of Scripture than Psalms to learn to be with God. 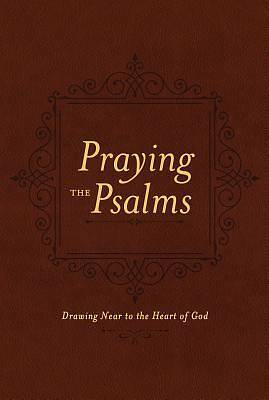 Praying the Psalms includes 50 selections from this book--songs of praise, cries for help, glad rejoicings, and humble offerings--accompanied by inspirational devotions that will open a divine window in your prayer life. Adapted from God's Prayer Book; now in a deluxe LeatherLike binding.